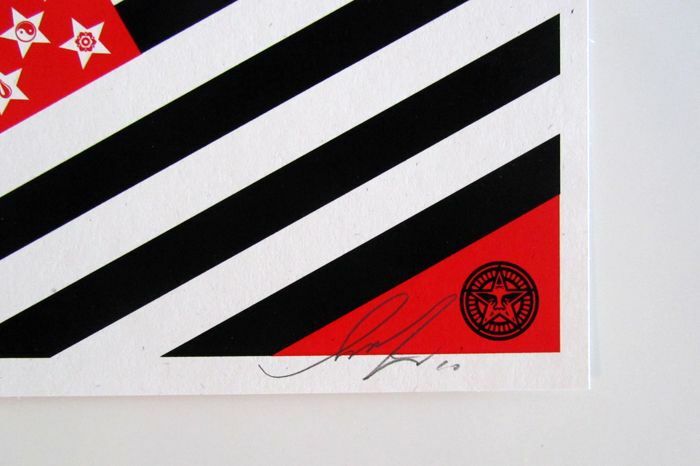 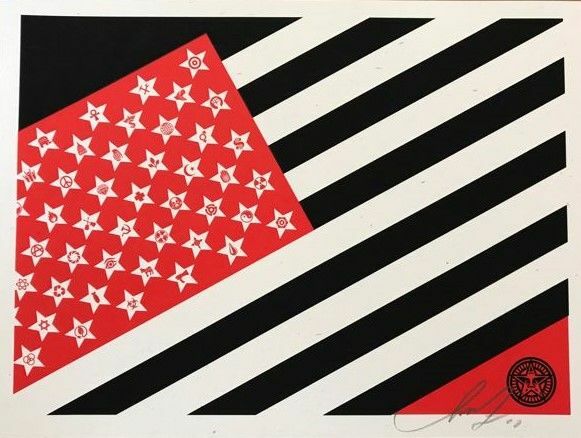 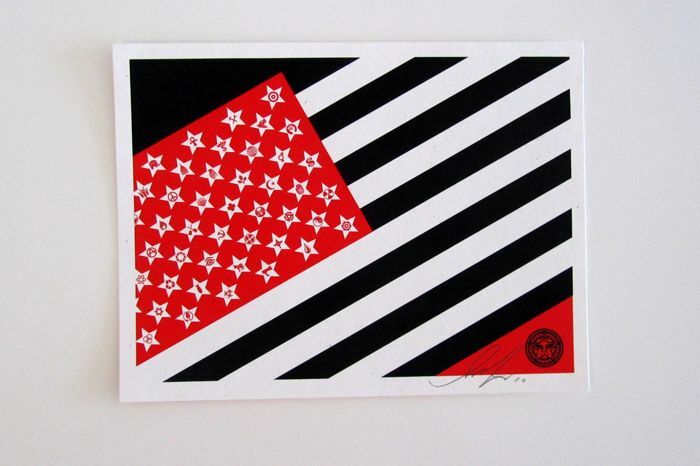 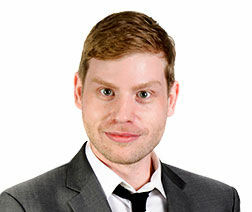 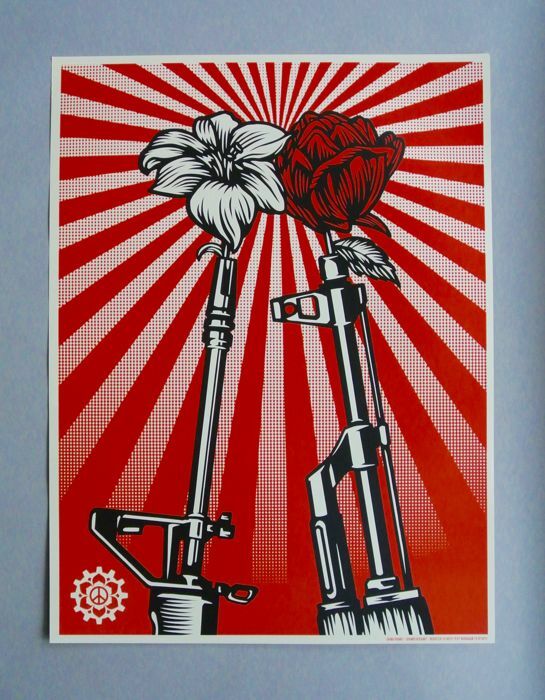 BONUS: Winning bidder will also receive a Shepard Fairey America Social Awareness poster set. 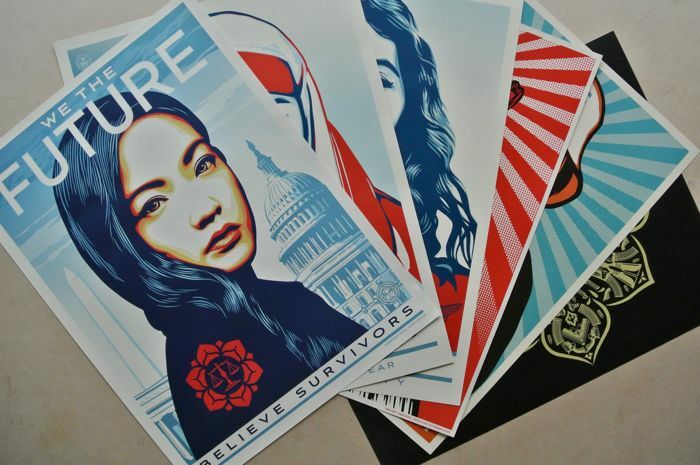 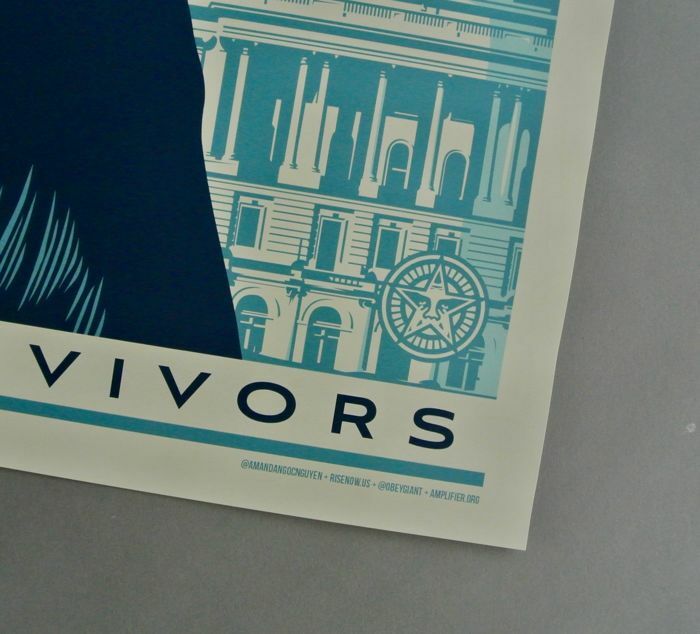 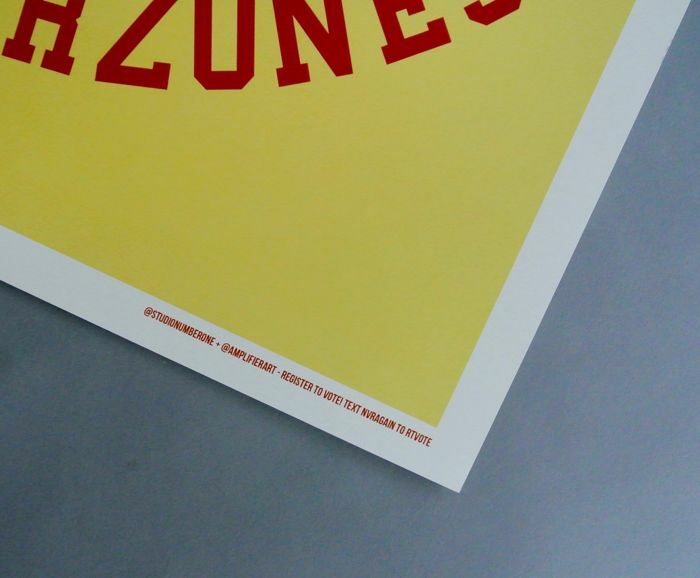 Poster set includes 6 prints from several campaigns designed to bring awareness to social issues that have been recently in the news in the US. 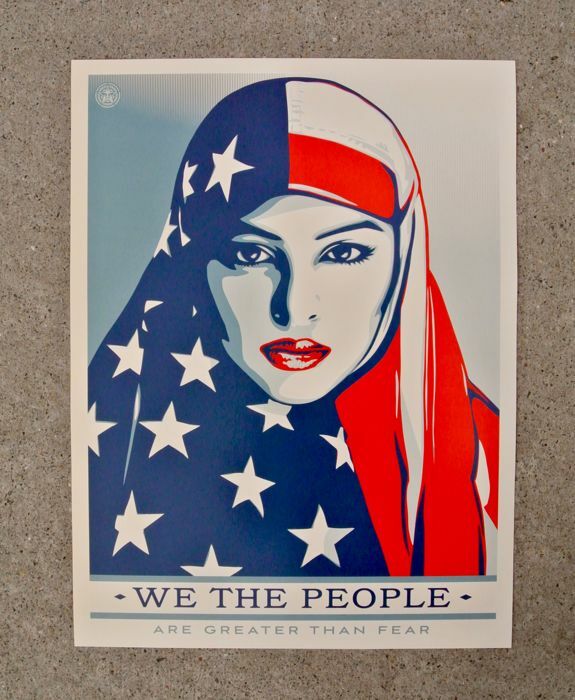 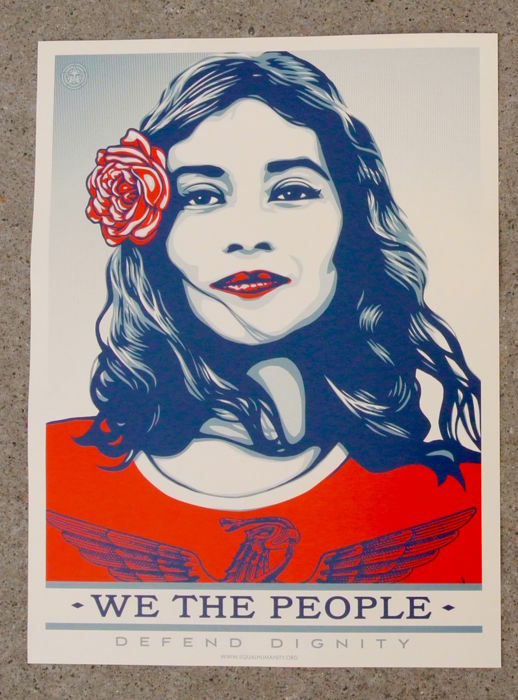 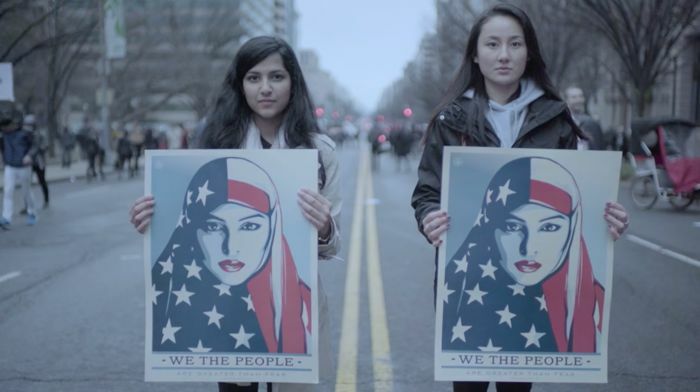 • We The People are Greater than Fear and We The People Defend Dignity poster set distributed at the historic Women's March on Washington. 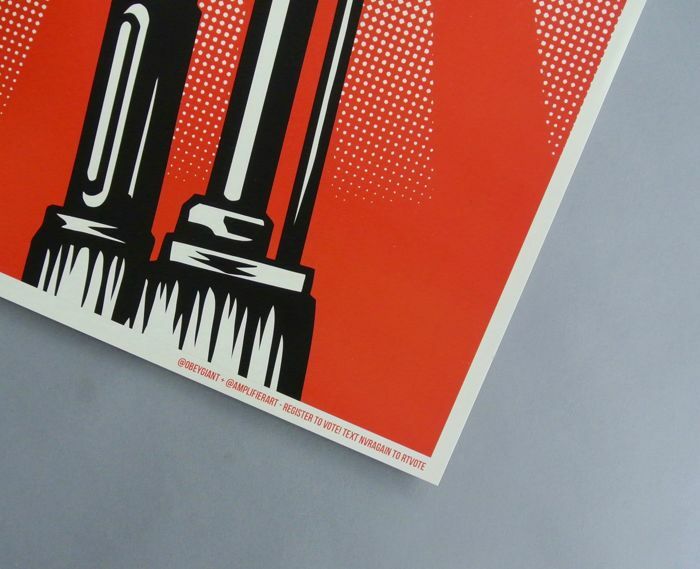 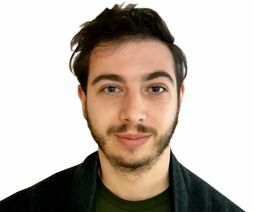 2 posters. 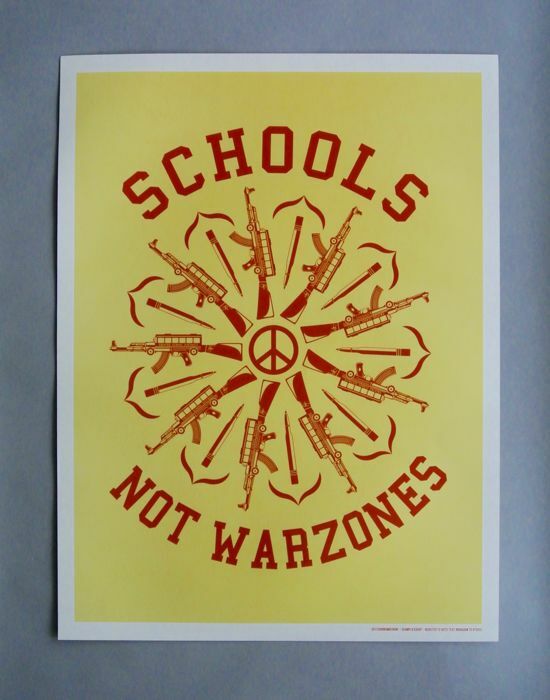 • M16 vs AK47 | Schools Not Warzones double-sided poster designed for the March for our Lives anti-gun violence event in DC, NYC and other US cities. 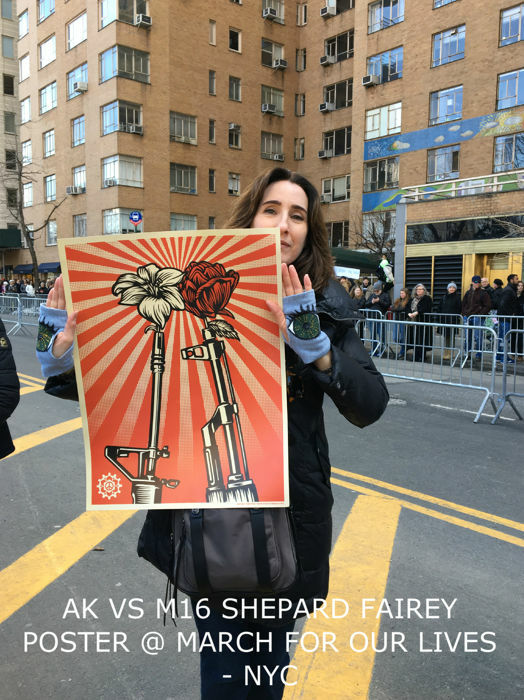 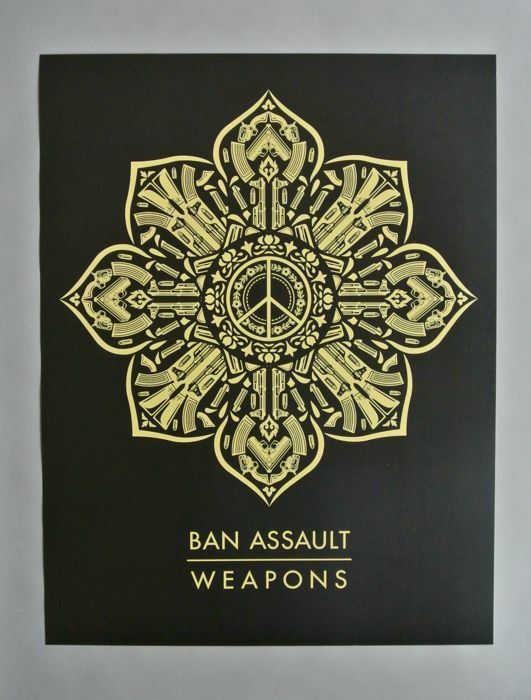 • Gun Mandala poster also released at the March for our Lives event. 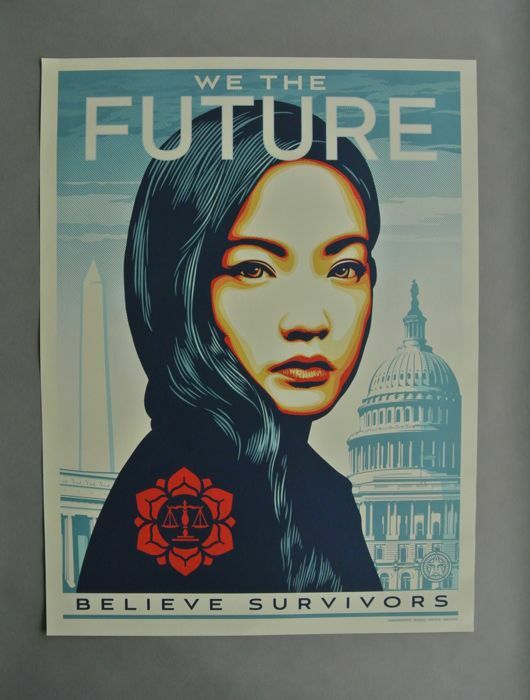 • We the Future Believe Survivors poster created for the We the Future: Art for Classrooms and Beyond social awareness campaign. 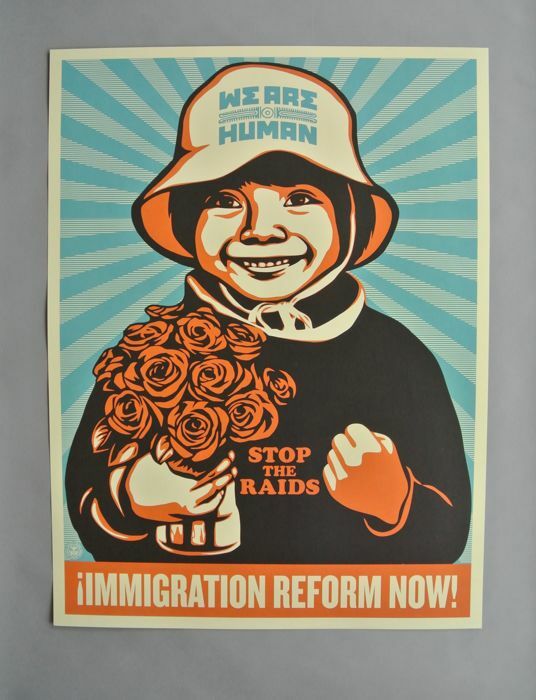 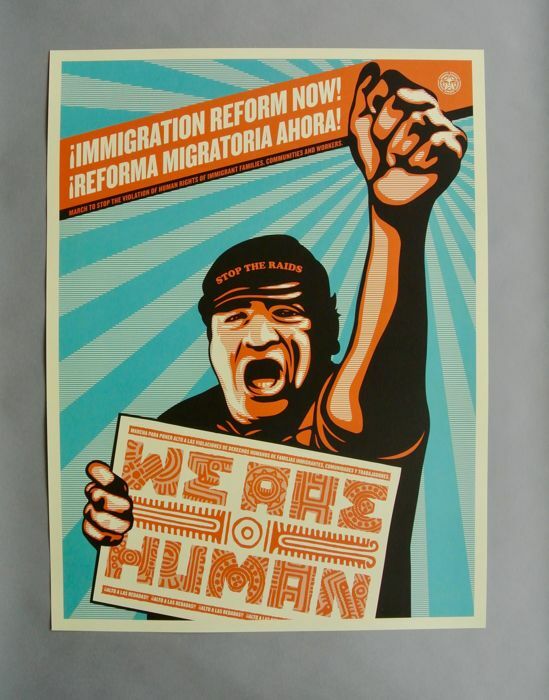 • Immigration Reform Now | We Are Humana double-sided poster created by Shepard Fairey for recent anti-trump immigration policy marches.